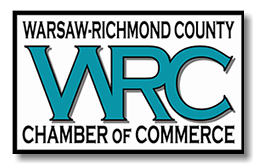 Why should I or my business join the Warsaw-Richmond County Chamber of Commerce? We hear that question all the time. Below are just a few reasons. The Chamber serves as the voice of the business community to the government, town council, supervisors and state legislature. Currently, a member of our Chamber attends all of the local government meetings. We are located in the Heart of Virginia's Northern Neck. Rich in history, Richmond County was founded in 1692 and is home to historical landmarks, Menokin and Mt. Airy. The county seat is Warsaw. 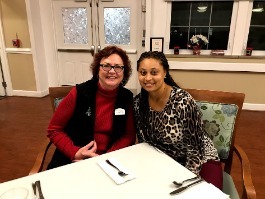 As a member of the Chamber, you will have valuable opportunities to network and share ideas and resources, as well as establish mutual interests and needs. Look to our Annual Calendar for upcoming networking events and meetings.